Localization are the processes by which a product is brought over from one local market to another, making it as intuitive, expressive, and user-friendly that users from both markets will feel it if was native, and written from the ground up to them. Cross-cultural awareness of traditions, costumes, and market effectiveness are all taken into account when making the decisions over the best way to localize a product. Format, orthography, degree of expressiveness, plays on words, alliterations, user friendliness are elements that constantly influence each other to get the best, and most successful solution for a given local market. An extensive knowledge of the online behaviours of users of both source and target markets will bring a new light over the shortcomings, and show the best and most well-fitting solutions for each local market. We can proudly affirm that thanks to our globally localized team of experts we are able to apply this knowledge to practice and create a final result of the highest quality. Bilingual and multilingual website translation. New monolingual sites for the chosen local market. We understand your needs and resources, and we take them into account to offer you the best fitting localization solution. Thus we have solutions like Internationalization, which quickly identifies the variables of website susceptible to be changed during the localization process. This allows us to be able to launch your product in all the local markets you want all at once. Our cross-cultural and international network of translators, programmers, marketers and writers will take on this point to localize your product to the markets of your choice. Website localization is the process of converting a website’s format and content so it feels native to the targeted local user. Thus our global team uses their socio-culture, political, and stylistic features of both cultures to transfer the intent of the original content and user interface while maintaining usability. Multilingual websites appear in better positions, and in more search engines. In fact, search engines and directories do not normally list a site that is not in the language of the user. Customers can effectively and instantly promote their brand by presenting products and services to the global market, and keeping the local feeling, thereby creating rapid brand recognition. Multilingual websites create an essential marketing tool for our customers. Because, according to research, users are 3 times more likely to purchase services and products when addressed in the native language. Website translation and localization adapt content and format to the local language and culture of the market of the costumer’s choice. Market research companies have found that costumer three times more willing to interact and engage with those sites which address them in their mother tongue. Our localization team offers your products and services the key to the gates to the global market, making your users from around the world feel at home when visiting your website. 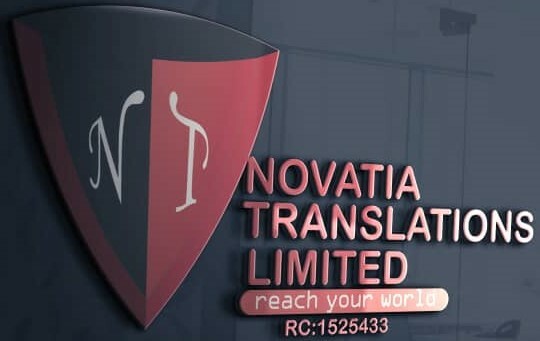 At Novatia, we help you strategize, create, and manage a website localization solution that meets your specific goals and challenges. Our offer consists of a global proven operative model, and monitored global network of translators. We assure the highest quality possible by only working with translators specialized in your company’s field, and connoisseurs, and natives of the local culture of your market’s choice. Many companies rely on our cross-cultural understanding to make their products native to the local market of your choice, and transform their websites in a global gateway to your products and services.